With the price of gas in Metro Vancouver, I've been motivated to visit Point Roberts every weekend. Once there, I always visit Lighthouse Marine Park. This Sunday was pretty quiet, but there was a an interesting bit of action to make the visit worthwhile. 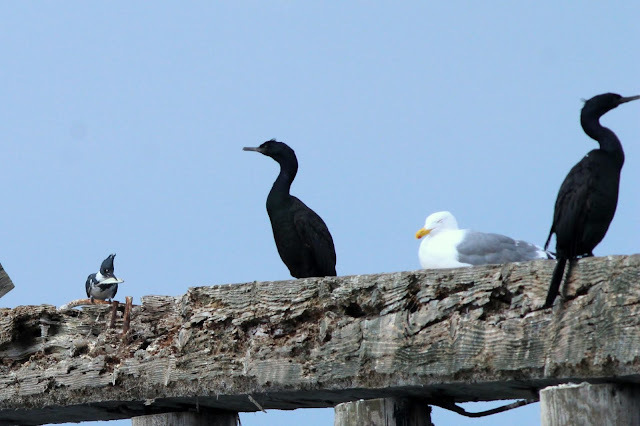 To the northwest of the parking area there are a number of pilings where Cormorants and Gulls congregate. It's also a reliable location for Belted Kingfisher, I've seen both a male and a female there. I usually check this area first before heading south east. It was a dreary grey morning, not the best for photography. 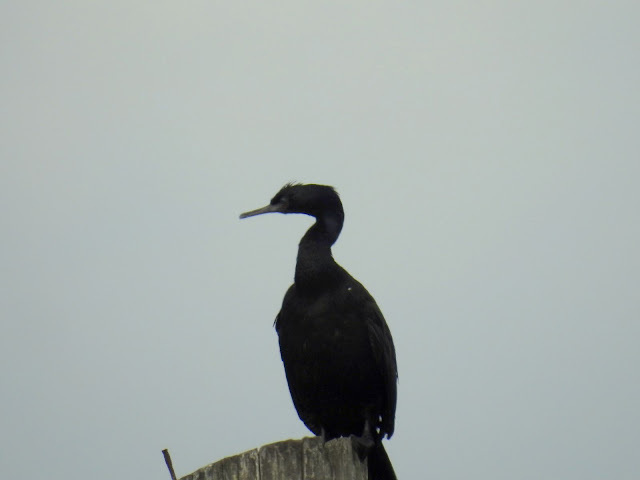 Here's a shot of a Pelagic Cormorant, identified by the head shape and the long thin beak. 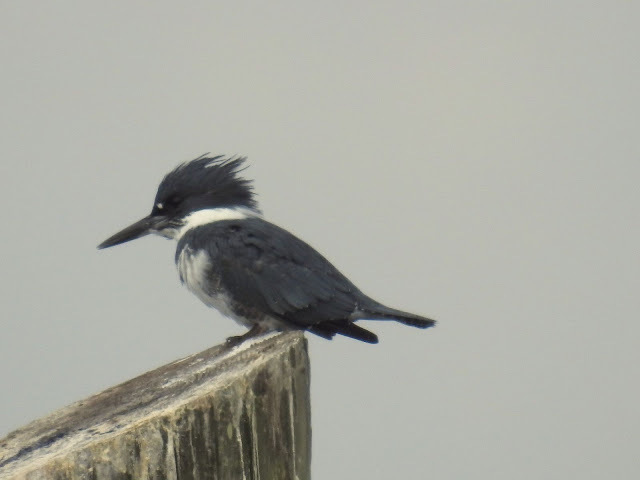 The male Kingfisher was present today, he is identified by the absence of any reddish brown colour on the breast. 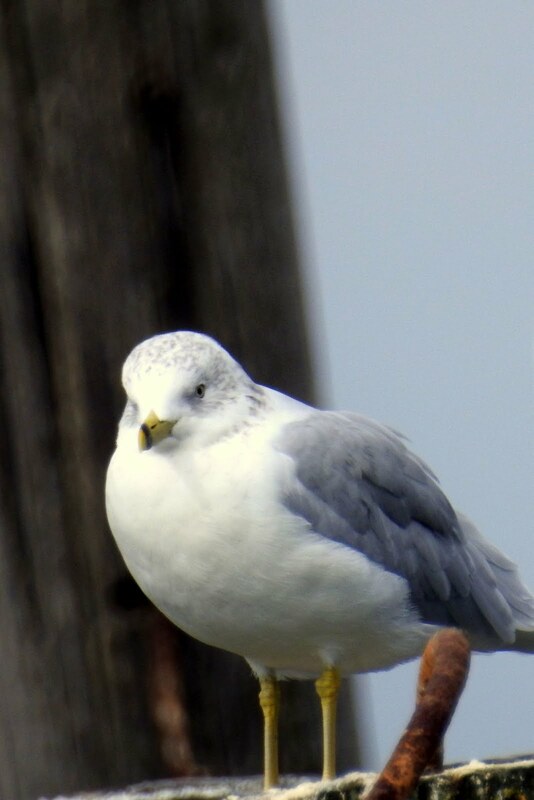 Another common bird is the Ring-billed Gull. This photo captures it quite well. The distinguishing field marks are the black ring on the bill, the pale eye and the yellow legs. It's also smaller than most other Gulls. After taking off and diving into the surf, the Kingfisher returned with a catch. 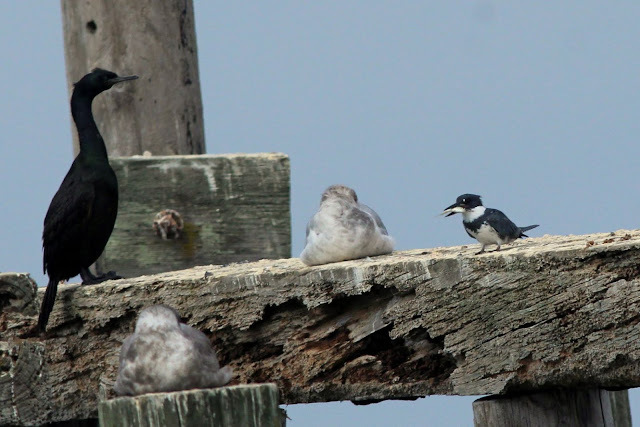 The trick now was to keep it away from the other birds on the pier. They seemed oblivious at first, but shortly after this next photo, the Kingfisher flew off to find a more private area. There wasn't much going on elsewhere in the park on this day, so I headed for home.